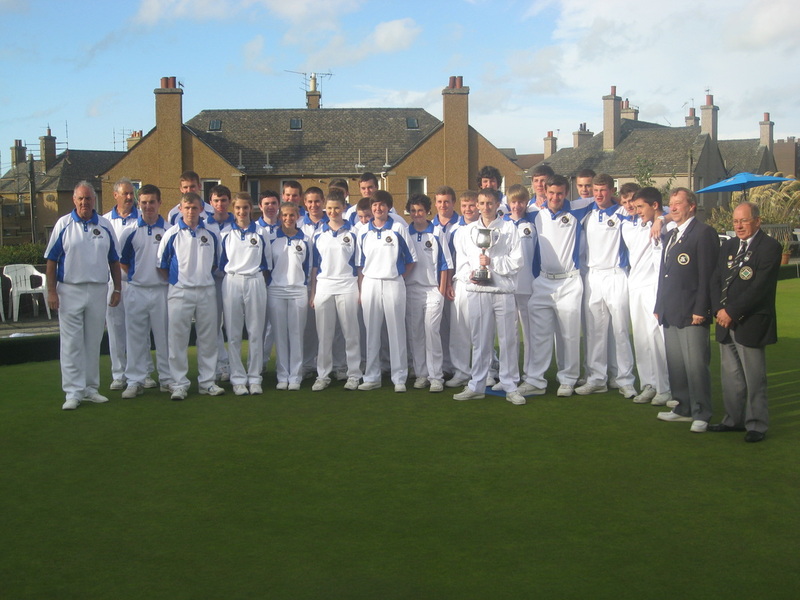 On Sunday 16th September the Scottish Young Bowlers Association National Under 17 team played against England (Northern Counties) under 25 team at Bainfield Bowling Club in Edinburgh. 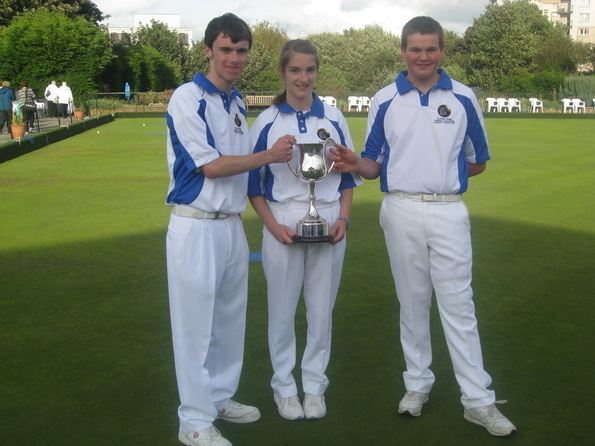 Local junior bowlers selected to play in the team were Martyn Thomson and Jason and Carla Banks all from Inverurie Bowling Club. The players had already been to Bainfield two weekends prior to the match for a squad get together and practice - and all three were raring to go ! The Team Manager, David Ferguson, announced the team positions on the day and Jason ended up skipping in the same rink with Martyn as 2nd. Carla was one of two Scottish reserves for the first half of the match - but ended up playing for England as they were two players down due last minute call-offs. Carla started playing 2nd for England and her English “team mates” were beating the Scottish rink (skipped by the Scotland Team Captain Greg McLauchlin of Lanarkshire) up to the half way point of the game. Carla then was swapped into the the Scotland team and started playing 2nd to Greg. The game then started to go in Scotland’s favour in the 2nd half of the match and Greg’s rink (with John Meikle of Lanarkshire leading and Robert Lenza third from Dumfries) recorded a 20 - 13 victory. Carla was one of four Scotland players to play for England on the day and went home with both a Scotland and an England shirt! Jason’s rink had Gemma Forrester (West Fife) leading, Martyn 2nd and Ross Kerr (Lanarkshire) 3rd. They got 5 shots in the first end and went from strength to strength, playing exceptionally well together and recording an outstanding victory of 52 - 16 ! 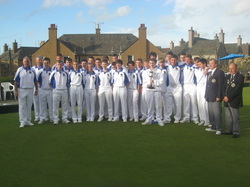 Overall Scotland won 157 - 90 and Team Captain Greg was presented with the Federation Trophy. This is the fourth time in a row that Scotland has lifted the trophy and David Ferguson and all the SYBA officials were pleased and very proud of their young team. It was a great day for all the juniors and one they surely won’t forget.